I recently had a chance to nab the director and producer of SUNSET, an independent film set for release in July, 2018. So let’s welcome producer Adam Ambrosio and director Jamison Locascio into CineMata’s interview hot seat. 1. Let's begin by exploring your latest film, SUNSET. Would you describe it as a love story, and anti-war manifesto, or both? Jamison: I think the concept of the film being two parallel love stories is interesting…but I really don’t think it is enough to put it in that box. It’s also about friendship and dying and so much more. I don’t think I would say it’s either. Adam: I would describe it as something that just deals with the human condition, which is the relationships we build and how we must come to terms with having them either continue or fade away. I wouldn’t say that it is anti-war but it is not pro-war. I think regardless of the cause, any major tragedy would devastate people and their relationships and their families. 2. The character of Julian seems to have a fully realized prospective on the nuclear question. How close is his point of view to your own feelings on war? Jamison: When we started to research the ideas in the story and nuclear war, it became clear that there would be conflicting sides of the argument. The interesting thing is that the average citizen is completely helpless either way and that concept was important to explore. I believe that was our primary objective in making those opinions so strong in the beginning. Adam: For me, Julian’s character is just one part of my feelings about nuclear war, but also I agree with Henry, all of the characters, and their approach to this situation. One of the important things we wanted to establish was a sense of balance, showing that all their choices were logical. 3. That uncompromising ending certainly plunged me into a love-hate moment or two, which really speaks to the power of your creative vision. Speaking of vision, how did your immersion into the independent film community initially begin? Jamison: We made 7 SAG short films that did well and were distributed by DIRECTV, we then worked very hard to get our first feature off of the ground The Depths, which did very well. The film won awards, had some name actors and received distribution on all of the major platforms with Sony/The Orchard and thanks to Random Media. Meanwhile, Adam and I formed a filmmaking community on Youtube called FILM VALOR which was a show discussing our filmmaking process. We started making original content and Adam brought the initial concept of SUNSET to the table as a short film. The short did well on the channel with over 16,000 views and we wanted to expand it into a feature. It was important to end it that way for the film to deliver on its “promise", so to speak. ​4. Is it safe to say that you consider John Cassavetes to be the Godfather of the Independent film movement? Jamison: I believe he is very important, but I think you could argue this about many people. Roger Corman is an legendary figure who spawned many other incredible careers as well. 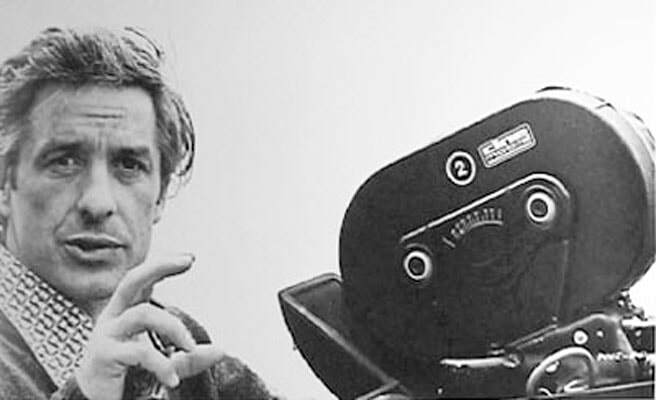 Cassavetes is a huge inspiration in the type of filmmaking being done today and has been a hero of mine. I think you can learn from all of them, if you seek out their advice and learn their stories. 5. Often the independent film maker is something of a renaissance artist, wearing many hats. 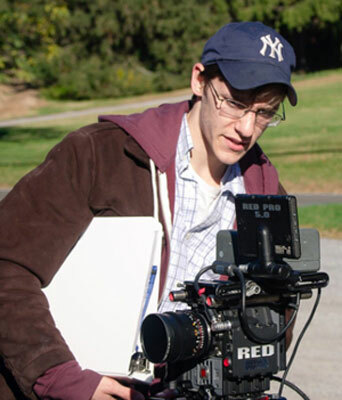 Jamison you've directed, produced, written, edited and served as cinematographer during the making of your films. Do you sometimes feel a little bit like Orson Welles? 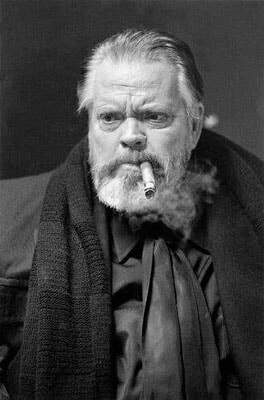 Jamison: Orson Welles I respect too much to compare myself to, no matter what situation I am in, but I am very much inspired by his example. I see your point and I really think that approach was born from necessity and I am glad that it was. Forcing myself to write and then to learn more about writing as a practice and developing this skill, aided in telling the stories. Editing has made me a much stronger director because I have the ability to cover a scene and quickly edit it in my head and get more coverage if needed. Shooting has taught me much more about camera technology and the options available, and that entire world is important. Producing is such a complex skill to really learn, focusing more of my attention to the details. I did all of these tasks because it was obvious - at first - that no one was going to help me out. How else would I make a film if I relied on others to do a job they would never do? As we have progressed I’ve begun to find people I can trust to fill positions, but still draw heavily on my own experiences. I also did the sound on SUNSET - that was sort of a leap of faith! 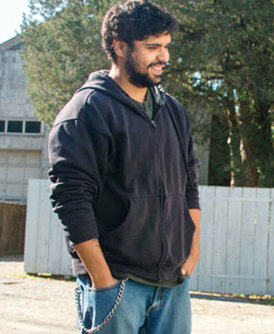 I had some experience doing it on our short films and I worked very hard to get that right. It’s all a part of the process of making films - you learn, you grow. I really enjoy these different processes too, it’s interesting, challenging and rewarding to use all of these skill sets to bring a story to life. 6. Can you give us a glimpse into your latest projects, Harrowing and Flushing? Adam: The concepts and the writing of those films are there but we want to let those sit for a bit. It is often about timing and letting them flesh out. Jamison: We are moving forward with another thriller feature film right now that we are excited about. 7. 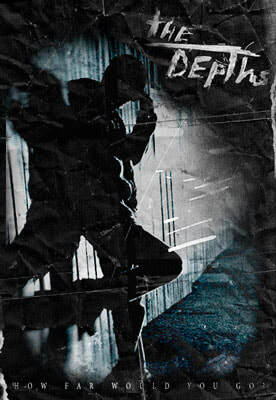 What was it like working with Michael Rispoli in your film The Depths? Adam: Mike is a great guy. The amount of respect and professionalism that he brings to the set is phenomenal and a pleasure to work with. I actually knew him as a child and I always said if we were to do a movie it would be cool to have Michael Rispoli in it. 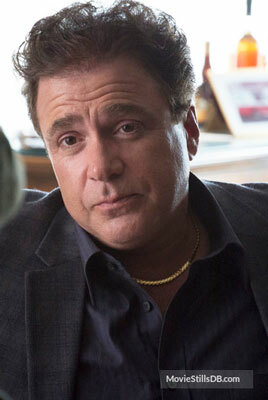 So when Jamison and Robert Spat were writing The Depths, I said we should try to get Michael Rispoli. Jamison: Michael Rispoli was a very important collaborator for me. Michael taught me so much more than I would think is possible in one project, and he made me a better filmmaker because of it. I really cannot stress it enough - Michael Rispoli made The Depths what it is - he reached out and brought credibility to an unknown project. He was also very important to the team because he was generous with his time and his knowledge. We all learned from him, I think. 8. How important is the short independent film to the cultural landscape? Jamison: Some shorts, although I would argue primarily feature films have the ability to speak to people in a huge way because of their visibility. A message can be sent to so many people in an accessible way, if that is what you seek to do and if you have a willing participant. Film can change people’s perspective and that can change lives. 9. Whose cinematic work has inspired you? Adam: John Carpenter, Daniel Haller and composer Hans Zimmer. Jamison: Christopher Nolan, Akira Kurosawa, David Fincher,...the list is very large. 10. What projects would you like to develop for your production company, Halcyon Valor? Adam: We tend to gravitate towards drama and thriller and we have done some action pieces as well, and I think somewhere along those lines is our strong point. Jamison: We are excited to use our experiences making both The Depths and Sunset and keep making features that we care about. We want to thank Eric Doctorow and our distribution team at Random Media, for being great collaborators in our journey to tell important stories that find audiences. Thank you for this great interview!